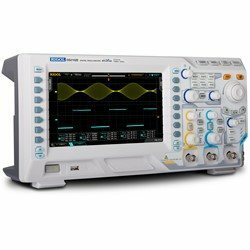 DS2000E Rigol Oscilloscopes ! !Special Offer!! High quality 2 channel DSO with 100 MHz bandwidth, 1 GSa/s (per Channel) and 28 Mpts memory depth (per Channel). 2 probes PVP2350 (bandwidth 350 MHz), USB cable and power adapter. High quality 2 channel DSO with 200 MHz bandwidth, 1 GSa/s (per Channel) and 28 Mpts memory depth (per Channel).